Lt. Col. R. H. Stumpf, C.O. Capt. A. V. Danna, CO, I Company. Prepared by: Fred L. Hadsel, 2nd Lt., 2nd Infor. and Hist. Serv. 1st U.S. Army, 22 Nov. 1944. 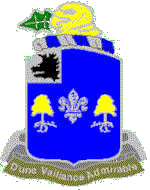 In the drive of the 39th Infantry, which started in the vicinity of Eupen, Belgium, and had as its objective Düren, Germany, the 3rd battalion was originally in reserve. It followed in column behind the other two battalions of the regiment as they moved down the road from Eupen southeast towards Mützenich and Monschau. 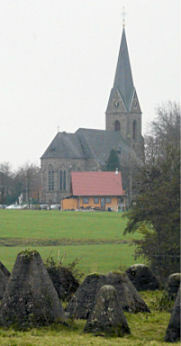 The 1st and 2nd battalions assembled for the night just south of Roetgen, but the 3rd battalion stopped in the vicinity of Mützenich since it was getting dark. It had made the same turn at RJ 899199 as had the other battalions, and late in the evening the battalion sat for the night on the road about three miles northwest of Muetzenich for the night, as the ground was too muddy to permit pulling off to the side. At daylight the battalion renewed its advance, with the immediate plan of joining the two leading battalions as soon as possible. The battalion moved with two companies on tanks and TDs and shuttled the third, while the heavy weapons and headquarters units were on trucks. Three trucks had been stuck the night before, and the column was short on gasoline. As they advanced through the woods of the Konzener Wald, a few snipers and one machine gun were encountered, but these were dusted off when the tanks fired into the trees along the road. At RJ 942234, the 1st and 2nd battalion had turned sharply northwest in the direction of Roetgen, but the 3rd Bn continued east 800 yards before hitting a different road which led directly north and which would connect with the forward elements of the regiment as they moved east from Roetgen. This section of the road had not yet been cleared of the enemy. As the 3rd Bn approached the highway leading to the north it encountered the first enemy road block, consisting of a locked iron gate across the railroad and a number of mines. (949232) A platoon of the 15th Engineers attached to the battalion came up and removed the mines, and the tanks crashed through the gate. Stumpf had put out a security squad on the flank of the column in the direction of Konzen (958204), and it engaged the enemy at a distance of 500 yards in a fire fight. The skirmish did not develop into any serious, however, at 1000, having been held up by the road block about an hour, the column continued north. Before the tail of the column could pass the point of the first road block, the leading elements hit another obstacle. This consisted of trees felled across the road, but it was neither mined nor covered with fire. The tanks moved up and looped cables around the trees, since they furnished both the strength to move the logs and protection of any mines under the logs. 500 yards farther north a third road block was hit, of trees and mines. The large crater in the middle of the road at this tree block was made passable by a tank-dozer. Stumpf radioed for engineers to make the road suitable for heavy traffic, while the engineers pulled the mines and the tanks dragged off the logs. Early in the afternoon the column passed through the three sets of obstacles, and it reached the road junction at Fringshaus (939264) just after the tail of the 1st Bn had crossed to the east, and before the head of the 2nd battalion reached the junction. At this point Stumpf was given a further mission. He was ordered, with the bulk of his battalion, to follow the 1st Bn as it turned north from Lammersdorf (it was not yet known that the enemy held the knoll north of the town). K Company, however, was instructed to run patrols east from the town of Lammersdorf in the direction of Rollesbroich (9926), width the purpose of striking northeast from that town, or as an alternate route of taking the road just west of the town. After C Company had turned north at Lammersdorf (966269), K Company pushed through the rear elements of the 1st Battalion to undertake its mission. Supported by one section of tanks, the company took the main road east through the town. It received no enemy opposition through the center of the town, but as it reached the end of the heavily built up part and turned the bend in the road (973268) , it came under enemy mortar and 75mm AT fire. The tanks fired at the AT gun and probably knocked it out (this was impossible to establish or to find out where, since artillery also hit AT guns in the area and the sergeant making the hit was killed). This engagement took place about 1600. As K came under the enemy fire, Stumpf decided to commit I Company into the fight on the left side of the road, while at the same time he secured permission to abandon the plan of following C Company — both because of the opposition facing C and that facing K.
K Company moved forwards along the scattered houses, as the enemy continued to use mortars and AT fire on their position. It advanced about 200 yards, with one platoon on each side of the road, and almost reached the Dragons Teeth. Since it was now getting dark, however, it did not try to breach the obstacle but hold this position for the night. Meanwhile I Company attacked in two columns up parallel trails leading northeast from the main road at (973268). The plan was for I to conduct a flank movement from the north on the enemy position and thus secure the area from the rear. I Company came under fire from the pillboxes and emplacements to its front as soon as they left the highway in Lammersdorf. The enemy used only small arms at this time. It was able to advance not more than two hundred yards before it became too dark to see. It then held its position for the night. Throughout the development of the attack by the 3rd Battalion, the entire right flank was open to attack by the enemy from the southeast. Therefore, L Company was brought up to act both as a reserve for the battalion and as protection on the right (south} flank. L Company set up a thin line from the railroad track on the west (965264) to a small trail near the Dragons Teeth on the east (972265), and began to receive fire from the southeast. By night the entire battalion was thus deployed and under the fire of the enemy. One section of heavy machine guns were, as usual, with each company, and the mortars were set up in the rear. The section of tanks with K Company fired at enemy positions, while the other section remained in the town to guards road crossings with the TD platoon. The AT guns were set up to held the defense on the open flank to the southeast. L Company began to get long range artillery fire, but K Company and I Company as yet received, nothing heavier than 50mm mortars.